The latest edition of the Japanese supercar killer is dissected and tested in these interesting videos. 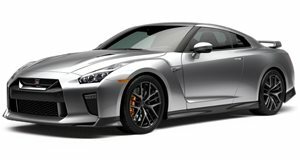 Godzilla in its latest guise was released last week with superior handling, upgraded interior and enhanced power via a tweaked twin-turbocharged 3.8-liter V6 producing 542hp and 488lb-ft of torque. The beauty of this supercar killer is the level of performance one gets for the modest price of $89,950, with figures of 0-60mph in under 3 seconds and the ability to cruise at speeds of 186mph. The GT-R Premium Edition and EGOIST is offered with Nissan Carbon Ceramic Brakes (NCCB) helping to accentuate the car&apos;s supple ride feel and agile road hold, and according to Chief Vehicle Engineer Kazutoshi Mizuno, speaking trackside at Sugo in the video below, "We have a car that has the potential to go from 0-100 km/h (0-62mph) in under 3 seconds, lap the Nurburgring in less than 7 minutes 20 seconds, and cruise at speeds of 300 kilometers per hour. But what marks out the GT-R today is that you can drive it on the autobahn at speeds like that with a degree of comfort." The latest GT-R will go on sale on November 24th in Japan and January of next year in Europe. It is tagged the 2012 model overseas, while in the U.S. it will arrive as a 2013 model.